Once you've Registered and Selected your Password and your Registration is verified by email, you can immediately use Live NetVision to start Netcasting. All of our features and uses can be controlled from your Dashboard. Remember this - this an in-depth How to Use Guide to Using Live NetVision. If you are proficient in computers and the internet perhaps you can use our Quick Start Guide, which is a simplified version to get you Started Faster! If so, Click Here for the E-Z Quick Start Guide. Live NetVision can be Netcasted and viewed from a desktop computer or from mobile devices, such as laptops, tablets or a smart phones AND, it Can be Seen Live, as it happens, by millions of people! The program is FREE to use and requires NO Download. It’s as Simple as the Click of a Button. 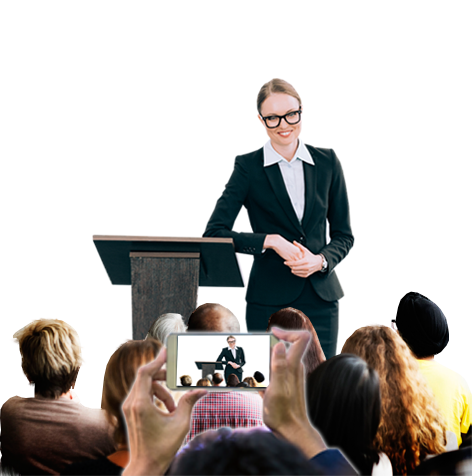 The uses for Live NetVision are endless, it can be used for Infomercials, Company Meetings, Stock Holder Meetings, Education and so much more.